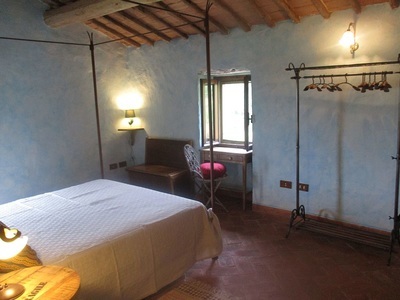 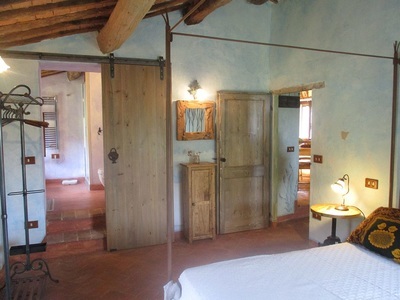 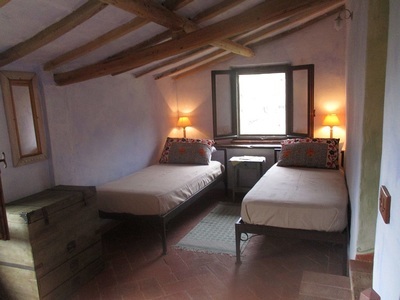 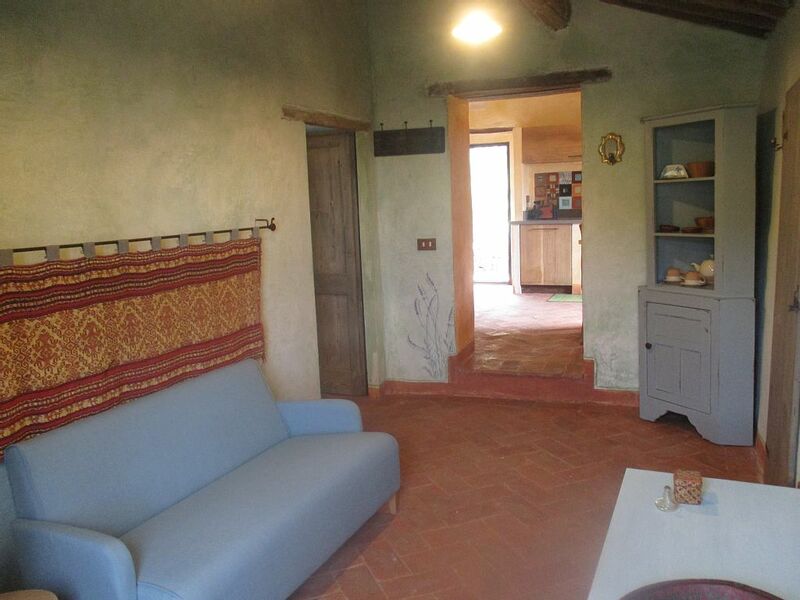 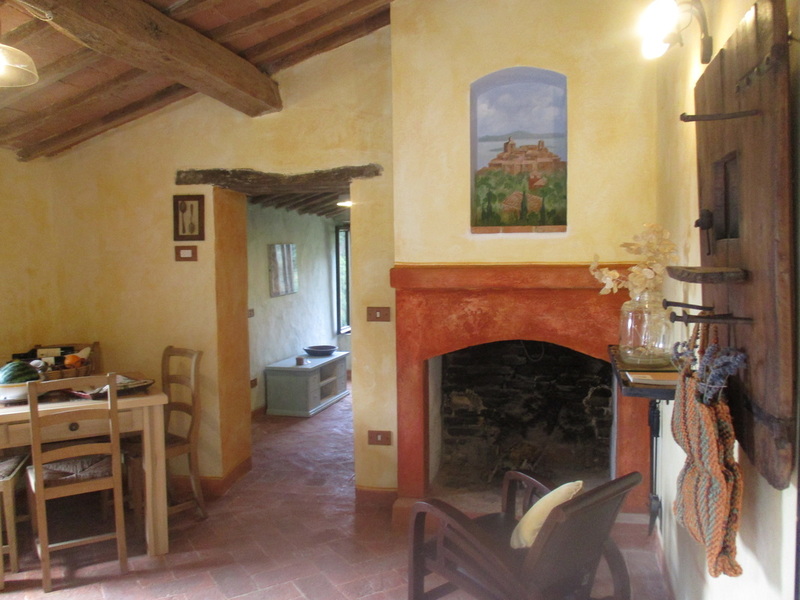 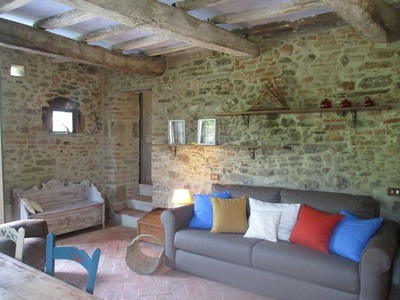 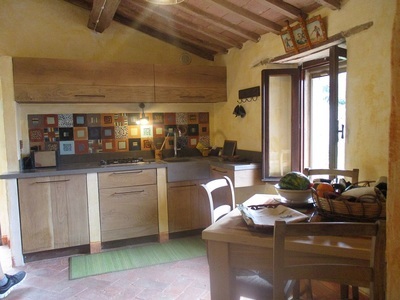 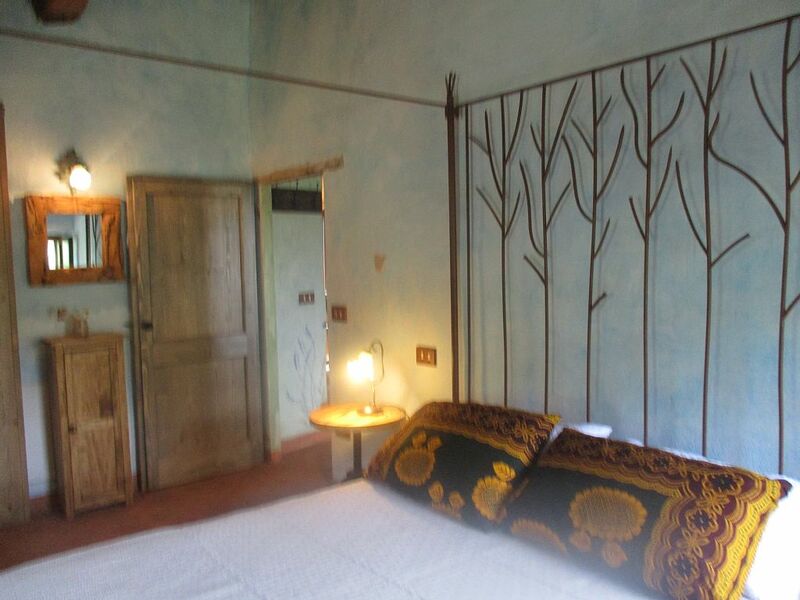 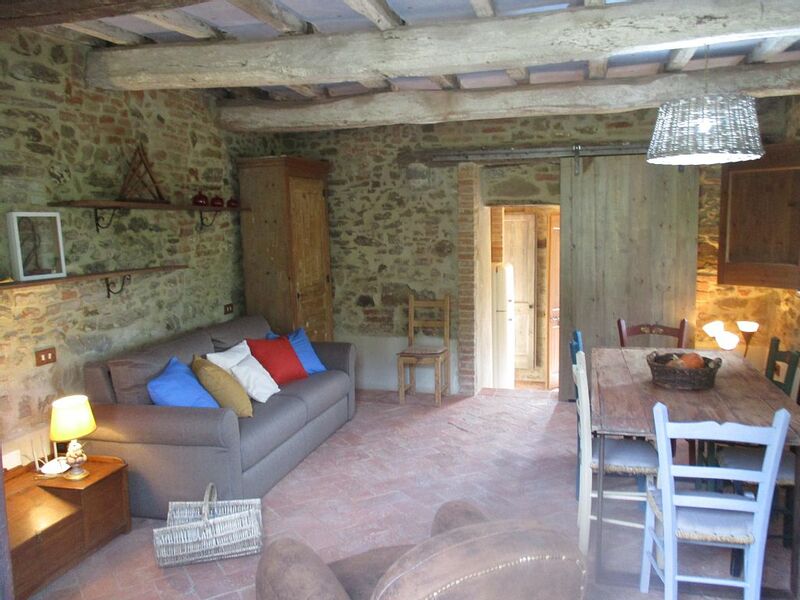 CASA DI PAN: In the heart of the village of Panicale, in a very quiet position with a stunning view at only 2 minutes walk from the main Piazza of Panicale. 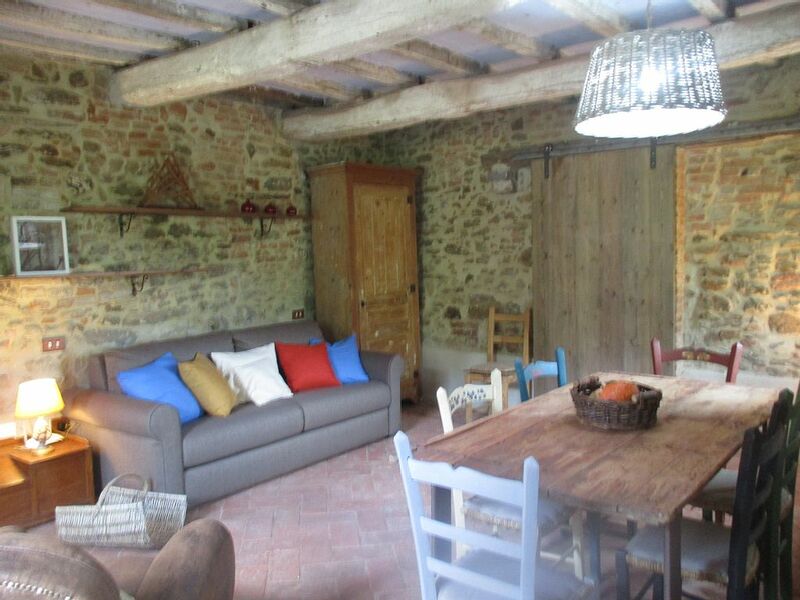 A lovely 18th century farmhouse recently restored to a very high standard. 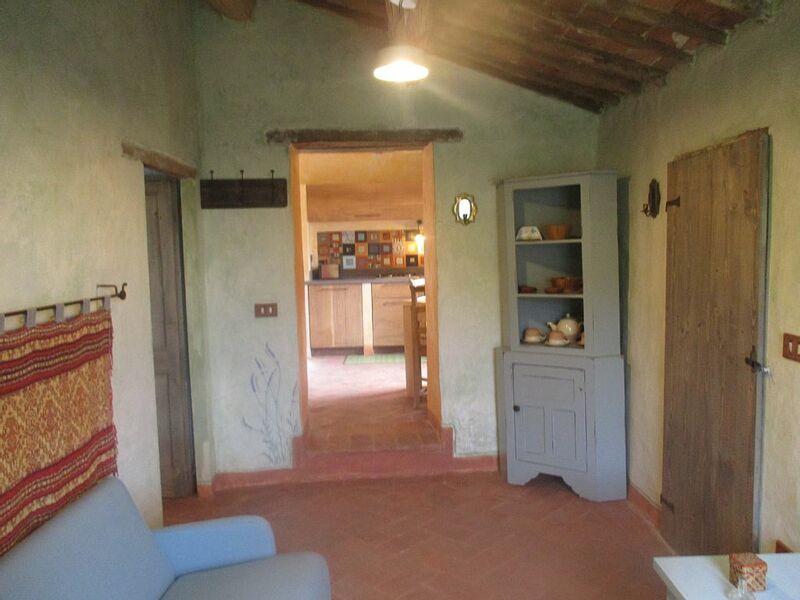 Full of carachter and rich of details: terracotta floors, arches, niches, beamed ceilings, paintings, rich rich of particulars and details. 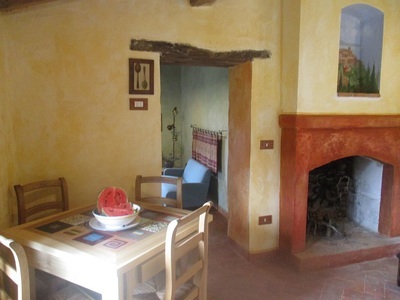 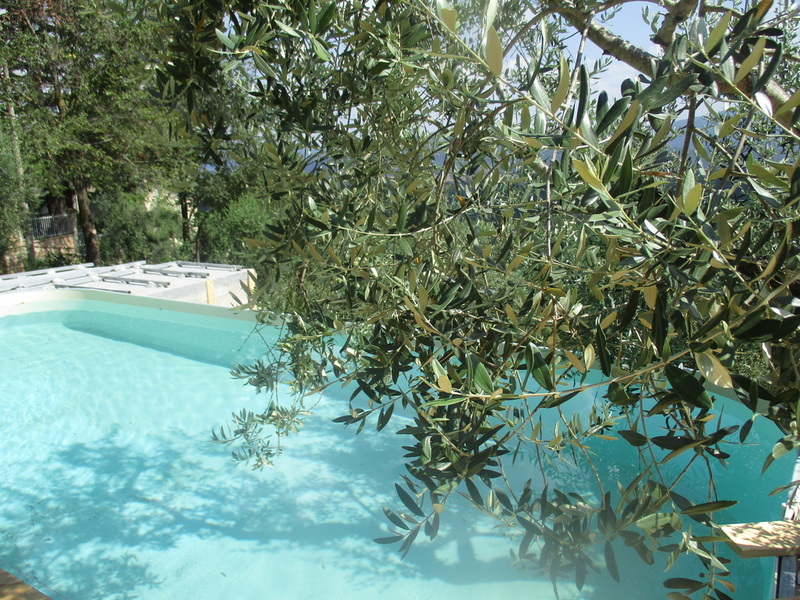 The little farmhouse of 130 sq.m is developed on 2 levels surrounded of a beautiful and unic mature garden with 2 porch for dinner al fresco + barbecue + pool. 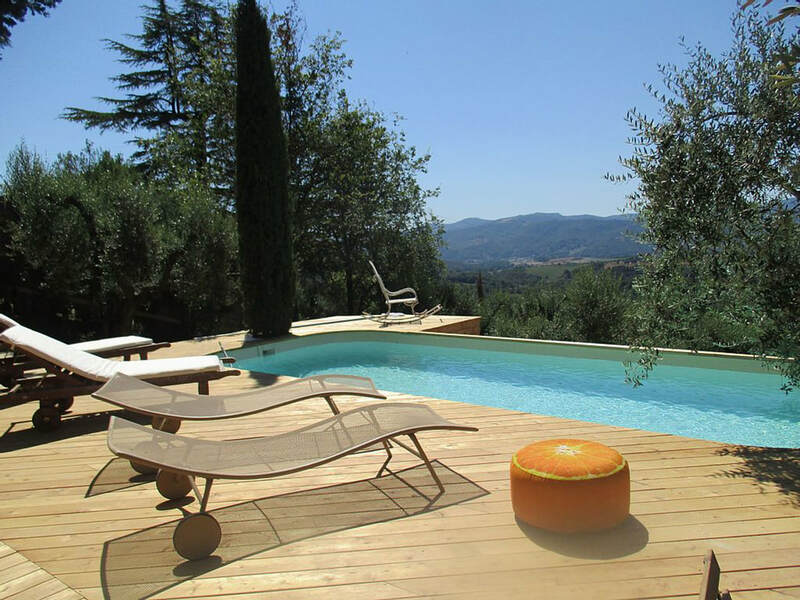 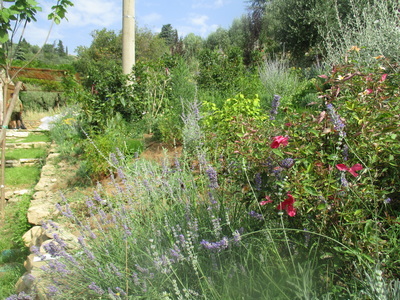 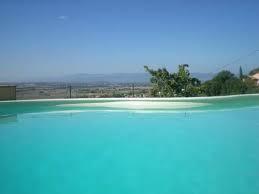 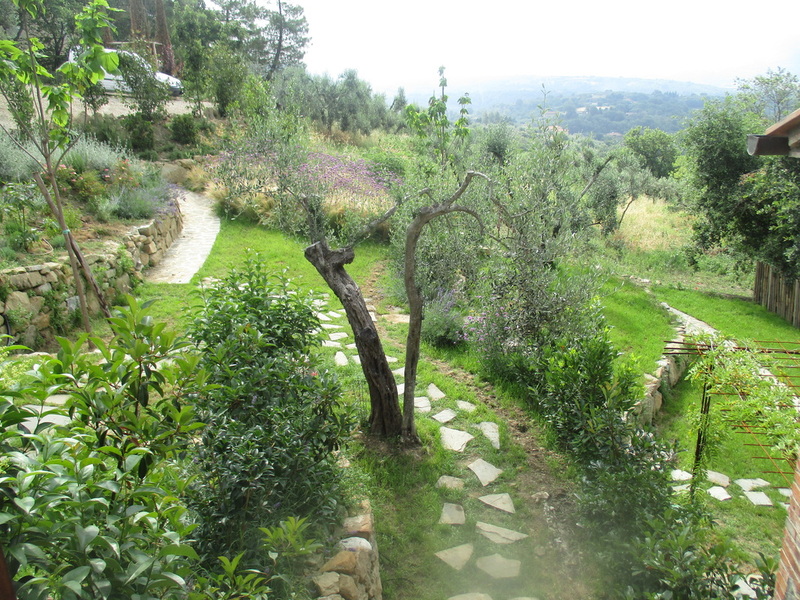 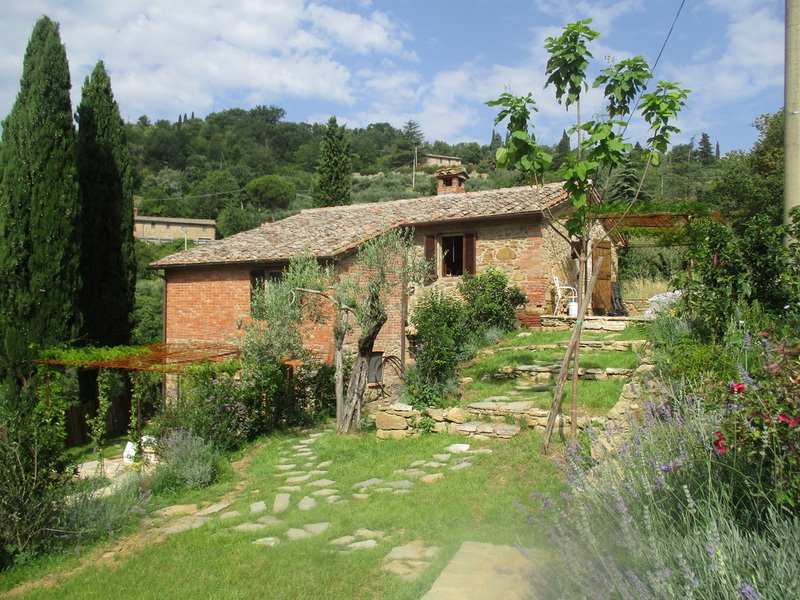 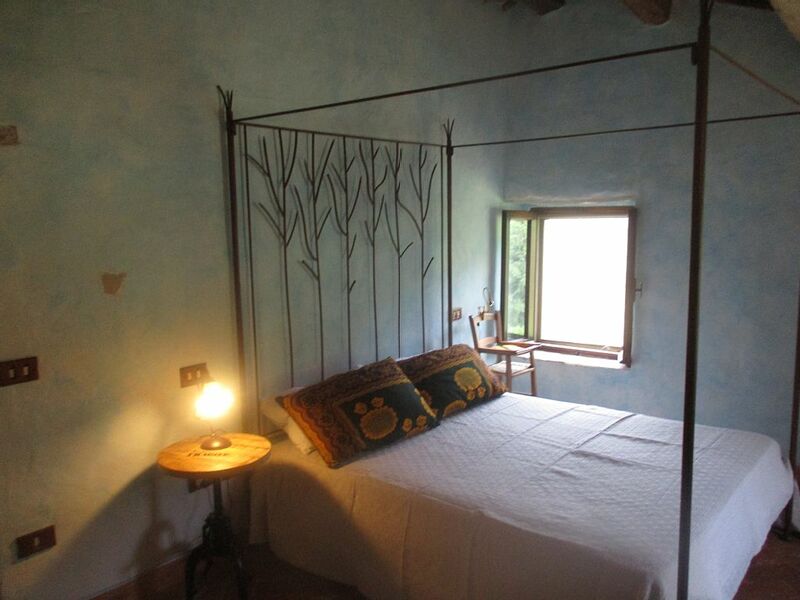 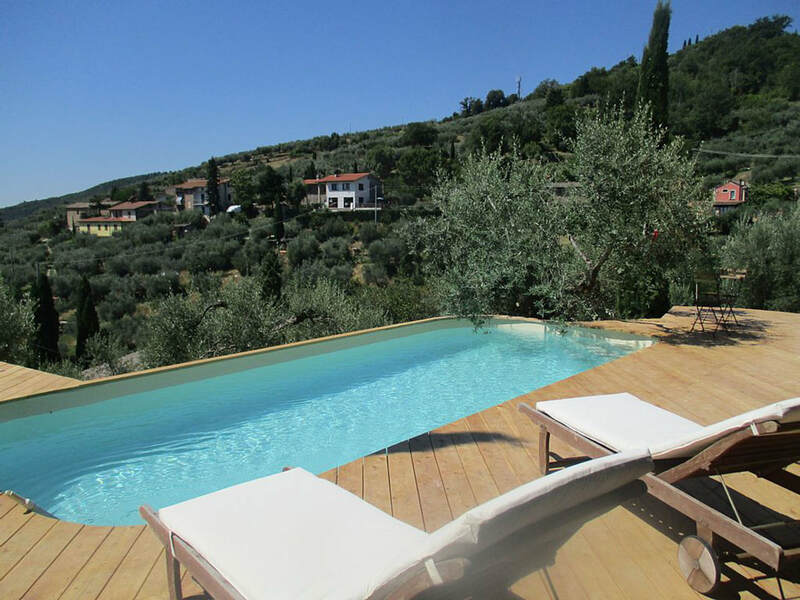 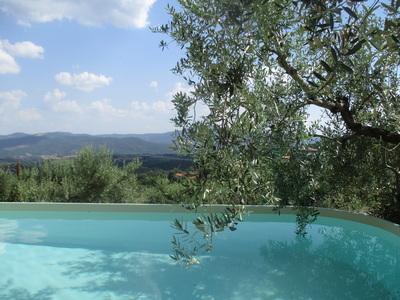 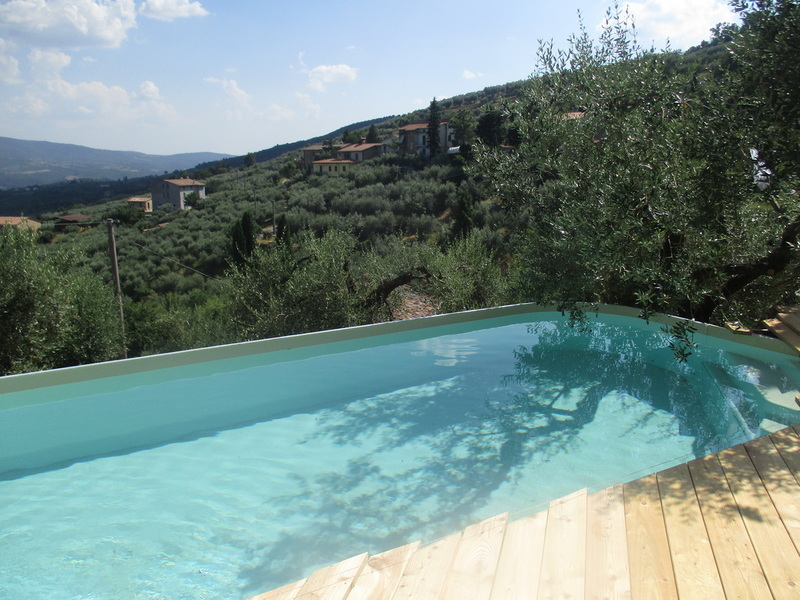 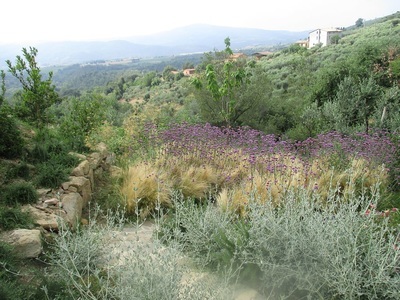 Splendid views all around.Make it a dream corner in the village of Panicale. 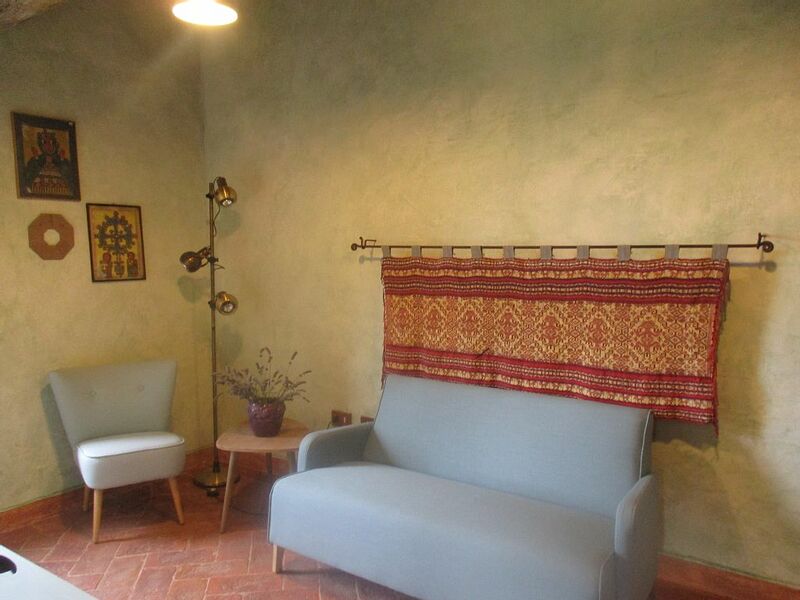 Ground floor: large living room with table and chairs, sofa bed,wifi zone. 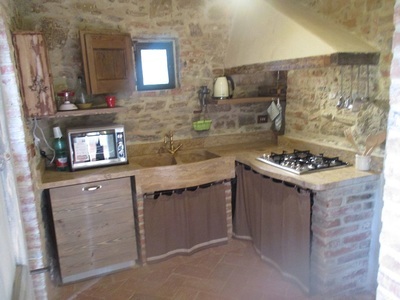 Equipped kitchen. 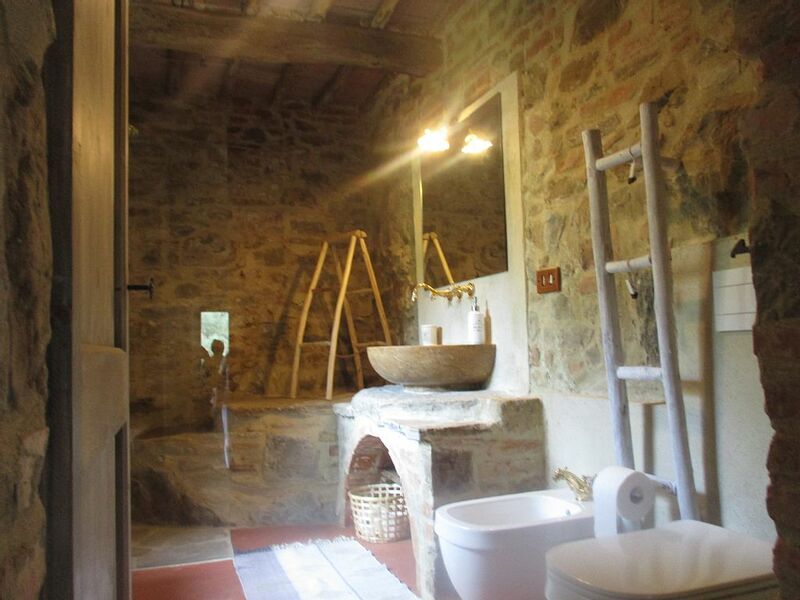 2 bathrooms ( 1 full bathroom with shower). 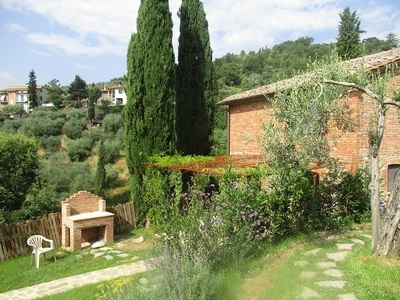 2 outside porch for dinner al fresco equipped with table and chairs. First floor: a small kitchen ( for the breakfast time), living room, 1 double bedroom with en-suite bathroom with shower, 1 twin bedroom with 1 full bathroom. 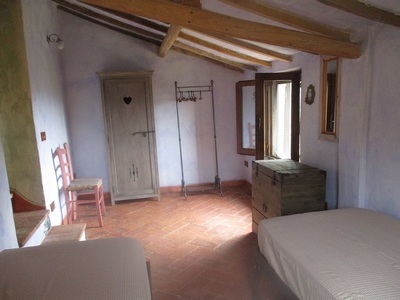 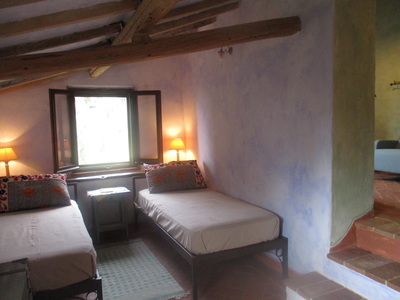 At walking distance, 2 minutes from CASA DI PAN: bars, restaurants,shops, backery, groeceries, Bank with ATM, chemist. 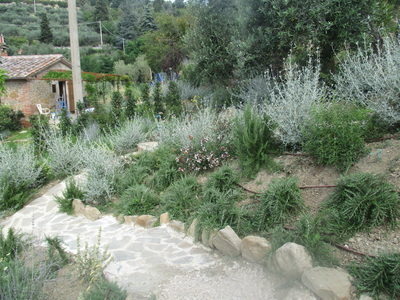 Post office.